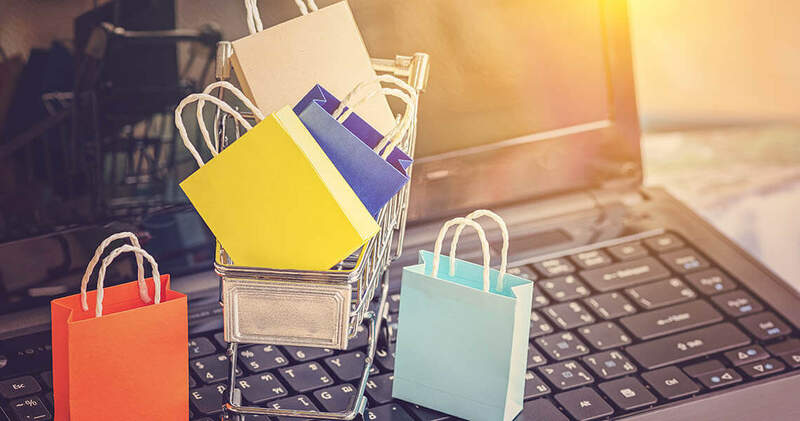 There are many different eCommerce platforms, and if your business is just breaking out into the possibilities that having an online store can have, you are likely awash in a sea of possibilities. One of the foremost of these being which platform is the most appropriate for you. Building an online store from scratch can be a huge task and ecommerce platforms make this easier. They provide businesses with basic functions like showcasing products in an online catalogue, taking payments, and managing customers. Other solutions will have more sophisticated functionality, such as online marketing features, SEO, and integration with in-store systems. The ecommerce platforms we have outlined here have been gaining popularity over the years thanks to their design, usability, and ease of use. From this, we hope, you’ll be able to make an informed decision when picking the right one for your business. Design matters a lot. First impressions are everything so you’ll need to welcome a new customer in a proper way. No shopper wants to buy from a store that looks like it was built in 1999 and has horrible usability. Just like an actual ‘brick and mortar’ shop, having a professional and trustworthy looking store will go a long way in inviting new customers and producing sales. Let’s take a look at both ready-made designs and the customisation ability of the ecommerce platforms and what the final store looks like. Online store based on WooCommerce will work great with any WordPress theme so there’s no need to do a complete site redesign when you add an online store. The number of available WordPress themes is mind boggling, and so there’s something for everyone’s pocket due to the huge number of themes available. There’s also the option to choose a WooCommerce specific theme. ‘Storefront’ is the default online store theme and child themes for it area quite affordable – most will set you back only $39. Being an open-source software, there’s no limit to the level of customisation that you can do and you’ll also be able to do a lot of the work by yourself without hiring a developer. Shopify themes are good-looking and clean, and can be quite good for startup niches. Shopify offers a very limited number of free themes and the current number is around 10. Premium themes go for $160-180 in most cases which is more expensive than most of the other ecommerce platforms. The free theme offering here is very slim, just 16 free themes are available. If you want to get a paid theme instead, that will set you back anywhere from $120 to $250 on average. If you don’t find anything that you really like, you can always get a theme designed from a ground up but that tends to be extremely expensive. Even though the choice of themes is not spectacular, the quality is very high and can compete with any other top platform. Magento’s themes look great and are responsive out of the box. There’s plenty of free and paid themes to choose from and the cost is reasonable, in the $80-100 range. They usually come with plenty features and are user-friendly. 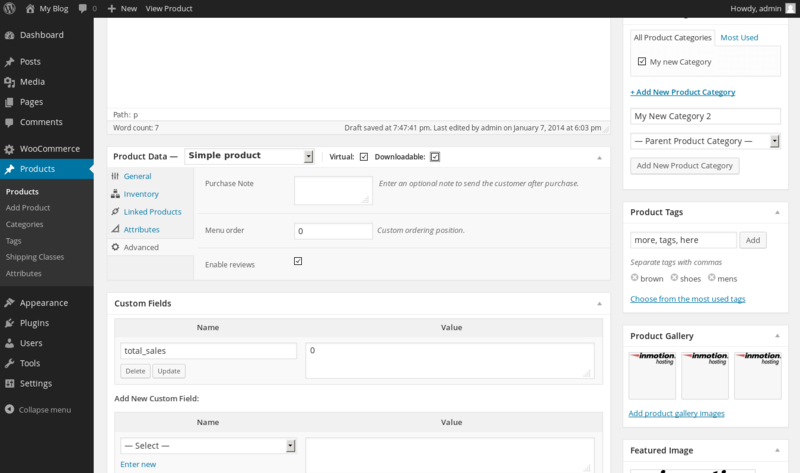 Getting a theme after you install OpenCart is a must since you get just a basic template design. Currently, there are over 500 themes available. Paid themes cost, on average, $60-70 which is affordable for most people. Themes are not super easy to customise and will require playing around with HTML and CSS. If you want to have an amazing looking, clean and modern online store, then look somewhere else. The dashboard is extremely outdated and it looks like using a software from 15-20 years ago. The basic customisation is possible (columns, headers, etc.) but anything else will require a help from a developer. There’s plenty of themes and templates available for PrestaShop (over 1,300 at the moment). The premium templates tend to look pretty good and professional. Third party website templates can’t compare with paid templates as well. Not all themes are mobile responsive, so keep that in mind when purchasing a theme. Design of Zen Cart is not something to brag about. There are over 200 free templates available but they are created by independent developers so the quality and stability are questionable. Paid templates are also available. Designing your store will most likely give you a headache due to the cluttered back end and the need for PHP coding to be able to manage content or do anything at all. If you are looking to have a mobile ready store out of the box, then you are out of luck as well. As you can see, WooCommerce has an enormous collection of free and paid themes that no other ecommerce platform can compete with. Even though Shopify’s themes look great, the selection is really slim and the cost is significantly higher than the themes that WooCommerce has. There are also themes from Magento. They do look very good and are responsive, but the sheer number of WordPress themes makes it unbeatable. WordPress is also a very mature and stable platform with plenty of affordable developers if you need any advanced customisation done. Usability is one of the key factors when deciding which ecommerce platform to choose. It is important to look at how easy it is to get started and then build your online store from scratch as well as how intuitive is the dashboard and will you be able to use it without constant help from a developer. If you already have a WordPress website up and running, then setting up your store will be easy and quick. If you don’t, then there is a little bit more work involved and you would need to get some hosting, install WordPress on a new domain and install WooCommerce. WooCommerce is just a plugin, so all you have to do is to install and active it. A quick setup wizard is super easy to go through and after you finish it, you’ll be able to start customising your store and adding products. If you ever worked with WordPress, then using WooCommerce will be extremely easy. If you are happy with your theme, then you can start building your store. You can access everything quickly from the WordPress dashboard and see pending orders, inventory tracking, product information, and more. Shopify was created as a complete ecommerce solution that comes ready out of the box right after you sign up. They also give you a free 14-day trial so you can play around and build your store before having to commit to a monthly plan. They will run you through a 1-minute setup wizard that will take you right to your store dashboard after you complete it. 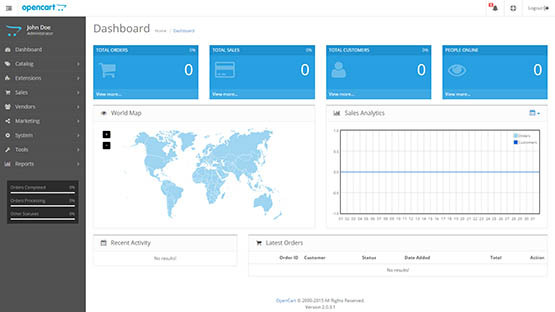 The dashboard is extremely easy to use and you can reach everything in one or two clicks. You can start with choosing a theme and tweaking a look of the store. After that, just dive in and add products, collections, some apps, and more. Performing all of those tasks is super simple and intuitive. BigCommerce is ready to use right after installation. This makes it much better than platforms like Zen Cart and OsCommerce, but you will still need to customise your store to your specific needs. The user dashboard looks very good and clean and it is super simple to navigate and use. Everything is well organised and you will learn your way around in no time. All tools and options are placed in tabs to the left so navigating through the backend is intuitive. Even though Magento’s dashboard looks simple enough, it is not for a beginner. If you have absolutely no experience with development, then there are other better choices when it comes to ease of use. Magento is geared more towards established businesses that are not on shoestring budgets. If you are just starting or own a small business, then there are less heavyweight solutions that can do the job. Magento’s advantage is that it is fully optimised to work with thousands of products and big stores with lots of traffic so it’s geared for the bigger ecommerce stores out there. There are two ways how you can set up OpenCart. First one is a manual way that is not recommended because it is very complicated and requires a lot of technical skill. The second way is simple and it is done through a script called Softaculous which will take you through a setup wizard. The dashboard is very clean and modern. Navigating through the backend is simple and will make your daily usage enjoyable. The store itself is harder to customise than other solutions and will have a learning curve in order to find where everything is located. OsCommerce is not known for its user-friendliness and that can easily be seen from the first moment. Installing it can be a headache and even developers can struggle with it. Dashboard and tools are very outdated, especially when compared to platforms like WooCommerce, Shopify, or Magento. Not only this, but you will also have to start from scratch every time you upgrade because new versions of the software are not compatible with older ones. User dashboard is anything but modern as well. PrestaShop’s popularity has grown over the years due to its intuitive dashboard that is very convenient to use even for beginners. PrestaShop also offers plenty of features by default and everything is easy to navigate, so you won’t have any problems in your day-to-day use. Modules work fine and you will get to know them pretty quickly but keep in mind that third-party modules are not guaranteed to work together. Firstly, you will need to install Zen Cart on your server which is easier said than done. Nothing will make sense and you will end up hiring someone. 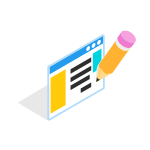 Once you get it installed and open the dashboard, you will feel a little bit lost and won’t know where to click because WYSIWYG editor is not part of Zen Cart platform. The platform is not intuitive and there is a learning curve that you have to go through in order to get somewhat familiar with it. Another thing to keep in mind is that Zen Cart hardly implements into existing websites. Just by looking at the interface of Zen Cart and OsCommerce you can see that they are lagging far behind. 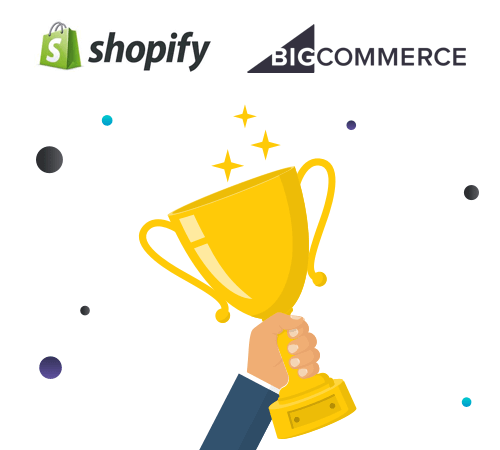 PrestaShop, Open Cart, and Magento offer great interfaces as well, but in the end, this round is split between WooCommerce, Shopify, and BigCommerce. Shopify is a truly beginner-friendly option that is perfect for people who don’t want any hassle with software installation, setting up hosting, etc. 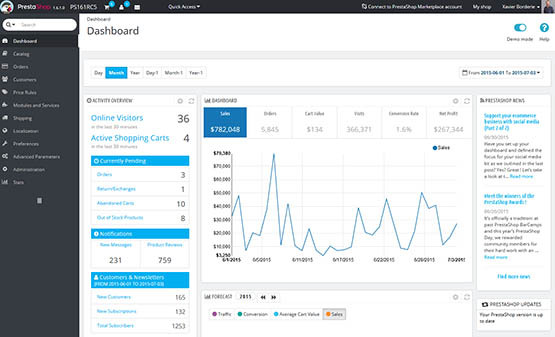 BigCommerce also offers very clean dashboard that is easy to navigate so everyday use will be a breeze. This is also true for the WordPress dashboard where the navigation is clear and the interface is intuitive so everyone will be able to use it without any problems. WooCommerce comes with all the core features that you need right after installation. Everything is mobile friendly and there is no need to hire a developer to get your store to look good on mobile devices. Five options for payment gateways come built-in and you can always add more in a form of an extension. You can also set recurring payments on your store if you want to avoid manually processing payments. 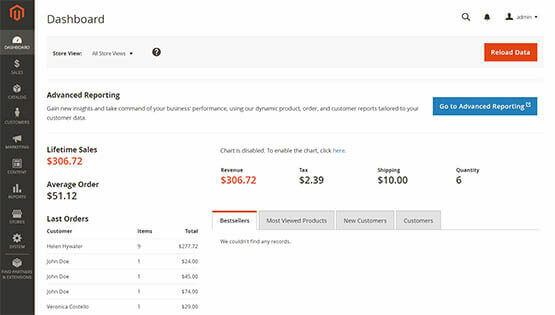 Customers will see a shipping calculator on the cart page which makes it easy for them to complete a purchase. 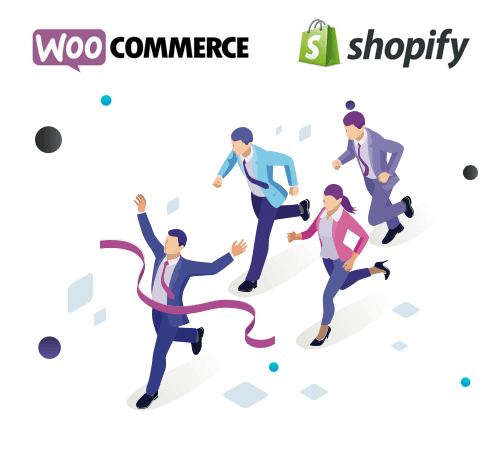 One thing about WooCommerce that sets it apart is that all plugins and extensions work perfectly together which can’t be said for some other platforms. With the power of WordPress, you can create a fully functional online store very easily while having everything work smoothly. Anything related to products, categories, and images is fully integrated and fulfilling orders is very easy. There is a huge library of paid extensions and plugins that allow you to add any feature to your store that you can think of. Accounting, shipping, payment processing, WooCommerce has it all. It is good to know that Shopify comes with lots of features built-in which reduces the expenses needed for apps. Out of the box, you will have full customer management, fraud analysis, payment options, discount codes, fully functional checkout, and much more. For anything else that you need, just head over to Shopify app store and you will find the app you need. BigCommerce offers a moderate selection of free plugins and if you decide to pay for one, you will have to pay a monthly subscription. BigCommerce comes with advanced features out of the box but you will still need to install some plugins to get everything that you need. Your blog will be on a subdomain of your store which is pretty bad for SEO because it will receive no link juice from your store since subdomains are treated as separate domains. OsCommerce is lagging behind other platforms in terms of available features and plugins. It offers basic features that will make your store functional and you add more via add-. Even though there are thousands of add-ons available, they are very difficult to install and getting them to integrate smoothly is not that easy as well. Payment processing is available and you have the option of using PayPal, Dwolla, Checkout by Amazon, and more. SEO is not very well implemented due to OsCommerce’s unfriendly URL structure and non-unique meta titles. Updating the store to a newer version will wreak havoc and can completely overwrite previous customisations. One good thing about PrestaShop is that it comes with many features out of the box. PrestaShop allows you to add unlimited categories, products, images, and more. Payment processor integration is good and you can charge your customers with wire, check, and credit cards. All major carriers are supported, including FedEx, USPS, and UPS. SEO features are there but are limited and it is not on the level of WooCommerce. If built-in analytics are not enough, you can always connect your store with Google Analytics. All stats are presented neatly on the dashboard and you will have access to all of the important statistics like sales, conversion rate, visits, etc. PrestaShop has an add-on marketplace and you can purchase modules, themes, and even services. The add-ons (modules) are usually a one-time purchase and the price ranges from $20 to $50 on average but others cost significantly more. Modules from third-party developers can interfere with each other and lead to glitches in your store. Magento is fully loaded with features. You can upload an unlimited number of products, up-sell and cross-sell, use discount codes, and more. Payment processing is fully supported and it comes integrated with PayPal, Braintree, and Authorize.net by default. Magento stores scale really well as long as you have good hosting that can keep up. Even without installing any additional extensions, your store will support product reviews, pricing rules, wish lists, and much more. When you do need to install some extensions, you will find that they are usually extremely expensive and you must consider hiring a Magento developer to install everything properly. 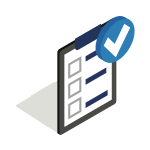 Even though OpenCart doesn’t come with all of the features that other all in one solution offer, you still have the option to add anything you need. You can add unlimited products and images, switch currencies, languages, and anything else you can imagine. Having a fully SEO’d store will be difficult because you will have to play around with code. Some of the apps are poorly optimised and most of them cost money. Zen Cart provides some of the features right after the installation but things like adding payment gateways will require additional plugins. Managing content is easy only if you hire a PHP developer and you will need to install some of the plugins in order to make the checkout experience fully functional. There is a choice of free and paid plugins but not all of them work without bugs. One of the biggest issues with Zen Cart in this regard is that when they release an update, you will have to troubleshoot your plugins because the update messes up a lot of the things for some reason. Payment processing is very limited and you can only choose PayPal, Authorize.net, and FirstData, and to get the option to use others, you have to install more plugins. SEO is very poor and there is a lot of room for improvement. Another big issue is mobile friendliness. There are plugins that can make your store mobile friendly, but they do not work well so expect to hire a developer in order to make your store look decent on mobile. WordPress comes with thousands of plugins and extensions so you can’t really beat that. WooCommerce enables anyone to add additional features in a few clicks and there are thousands of free plugins that just work perfectly. Some other platforms lack the compatibility and proper integration but WooCommerce doesn’t have that problem. 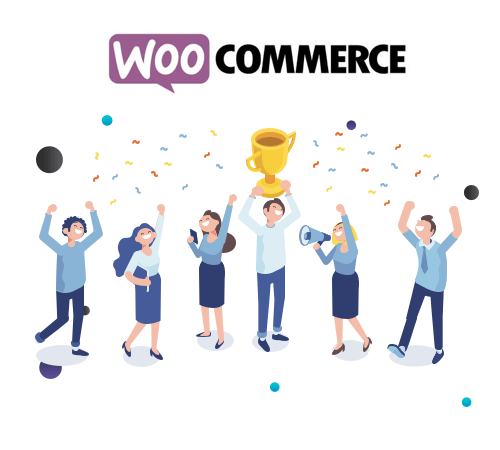 No matter what you want your store to have – promo codes, live chat, or customer reviews, you can do that with WooCommerce. Other platforms also have plenty of features but that usually comes at a higher price. Having access to support when you need it is crucial when running an online business. This is even more important for online stores where there are customers browsing the website all the time and everything needs to be working perfectly. Let’s take a look at what support options all of the platforms offer. With WooCommerce, you have access to great help documentation that will answer almost all of your questions. Since it is built on WordPress, you have the support of the huge community that can help you whenever you need it. The support is somewhat limited since WooCommerce is an open source platform. With that being said, they offer a great ticket system and the turnaround time is usually one or two business days. Shopify has a truly great support team that is available 24/7. 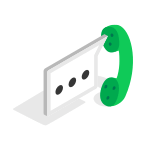 You can easily reach them by a call, send them an email, or jump on a live chat and the wait time is usually very brief. BigCommerce is a monthly subscription software and it comes with a 24/7 support. You can contact them via live chat, email, and phone at any time. Besides this, they provide support guides, tickets, and forums for their users. Magento is a free software so if you end up downloading just the Community Edition, you won’t have access to any official support. Support plans are available only to the Enterprise Edition users but that comes at the cost of $18,000+ per year. With that being said, help documentation and forums are available to everyone. Support is limited to forums and reading through provided documentation. On the plus side, forums are active and users are helpful. OpenCart has also introduced two support plans. The first one is a one time fix where you will get a quote after you fill a form on their website. The second option is a $99/month plan that is only good for fixing minor issues. The paid plan is limited to three bug fixes per month and they won’t help you with any design questions. OsCommerce provides help documentation where you can find answers to basic questions. They also have an active forum where you can ask other users and developers for tips. OsCommerce has a paid support plan that will cost you $65/year. PrestaShop has a ticket system but the wait time is very long and you can end up waiting for a reply for 5 days or more. Once you do get a reply, you will find that it is almost impossible to get a clear answer to your question. They also offer a paid support plan but it is very poor. You get only several hours of help per year and the cost ranges from $33-116 per month with a minimum one-year subscription. Live chat is also available on their website but most of the time, they will try to sell you something instead of actually helping you. Zen Cart doesn’t provide any technical support to its users. There’s no option to submit a ticket or even send an email and forget about live chat. The only place to get any help is searching on Google and the community forum. The only way to get real help is to hire a developer that will handle issues for you. Both platforms win here because they offer 24/7 support. Shopify’s customer support is amazing and you can get in contact with them even in the middle of the night on the phone if you need it. BigCommerce also offers same support options so they are a clear winner here. An honourable mention here is WooCommerce. 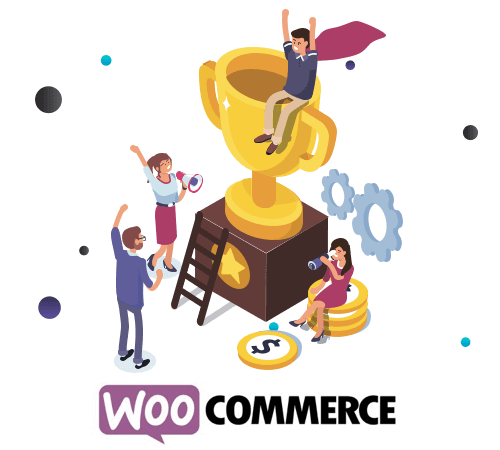 Even though they don’t offer the same level of support, you still get very thorough and good documentation, the support of millions of WordPress and WooCommerce users on the forums, plus there is a very good ticket system and you get a reply within a business day or two at the most. Your choice of an e-commerce platform will drastically affect your setup and monthly costs so it is very important to choose right in order to get a most out of it while not breaking the bank. Some platforms have a simple and affordable pricing plan, while others offer enterprise solutions that will cost a pretty penny. It is wise to think about your short-term and long-term budget as well because your profit will be affected by your expenses of running a store. With that being said, it’s not all about making a decision solely based on the monthly price. Certain solutions will give you the edge you need to stay ahead of your competitors’ and maybe even save you money in the long run. Even though it is feasible to set up and get a store running without spending on the software itself, you still need to take into the account how much certain aspects of it will end up costing you and how much it would cost to add certain add-ons and expand your store to be able to handle more traffic. If you are already on WordPress and you’re looking to add an ecommerce functionality to your website (or just start an ecommerce store in general), then look no further than WooCommerce. In this case, you are already paying for hosting and have a website up and running so all you will need is probably just a few extra plugins and extensions to add some useful functions to your store. This will save you thousands of dollars in fees and monthly recurring costs over the next few years. 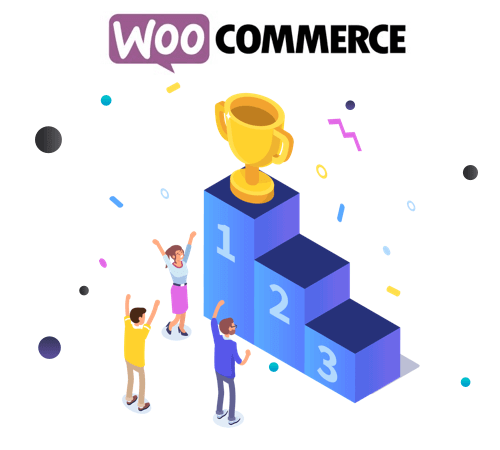 Even if are not running a WordPress website right now, WooCommerce is still a super affordable option that is built on one of the most stable, well-known, and easiest to use platforms in the world so it is a no-brainer for most people. Shopify has a transparent and simple pricing plan and you can start your online store for as little as $9 or $29/month. They offer additional functions and features as you go higher in pricing plans and your choice would depend on your specific needs. You do get a subdomain (storename.myshopify.com), but you should register a domain name anyway because the subdomain doesn’t look professional. BigCommerce is pricier than WooCommerce and it is smart to use a Plus plan that will set you back $79.95/month in order to remove transaction fees which can really add up. One of the downsides with BigCommerce is that they basically force you to upgrade to a higher plan once you start generating over $125,000 in revenue yearly and that plan will spike your monthly fee anywhere from $900 to $1,500 per month. It is advisable to avoid BigCommerce if you will hit those revenue numbers because fees start to get too crazy at that point. Magento might be free to download and use but there are always extensions that you need to install that can cost as much as $1,000 which is extremely expensive. Don’t forget that you’ll need to have a Magento developer handy to install everything and customise your store. They are also harder to find and costlier than developers for other platforms like Shopify or WooCommerce. Magento is a complex ecommerce platform so it is recommended to use a dedicated server instead of a shared server or a VPS, otherwise the server spec might a bottleneck and slow your store down. Being an open-source platform, OpenCart is free. As with any open-source software, the usual costs apply. This includes the cost of a domain, hosting, and other similar expenses. When you install OpenCart, you will have some basic features enabled but you will need to install at least several add-ons to add more functionality like payment processing. Hiring a good developer is also not a bad idea, especially if you are not familiar with coding. OsCommerce is an open-source software and there are no recurring monthly payments as with BigCommerce for example. Even though getting a store up is technically free, you will still need to cash out for a good developer and designer in order to have a store that is at least semi-good looking. The reason being is that OsCommerce requires extensive knowledge of PHP so you will have to hire a developer quite a bit and they are not cheap. PrestaShop is an open-source software as well. It is far from easy to install and get it running (especially when compared to WooCommerce or Shopify) and there are huge issues with modules because they are constantly interfering with each other so having a web developer handy is a must. PrestaShop makes its money from modules and add-ons, so you can expect to pay quite a bit for each one you install. Like with any other open-source platform, the main costs will be getting a domain name and hosting plan. Free software may look good on paper but when you calculate all costs you will get a big sum that is not negligible. The main thing to note here is that Zen Cart is fully based on PHP and you won’t be able to do anything with your store without having a PHP developer on staff. While platforms like Open Cart, Zen Cart, PrestaShop, and Magento may be free to download and use, you still need to consider the additional costs that can really add up. Every time you want to add a new functionality or tweak something that requires coding will be pricey. These solutions are far from being 100% user-friendly and usually require having a developer on staff that will jump in to help you run your store smoothly. WooCommerce is totally different in this regard. Anyone who is even vaguely familiar with WordPress can use it and there’s a plethora of add-ons and plugins that can improve your store in one click. Hosting costs on WooCommerce are very modest since WordPress is a stable platform and even lower end hosts handle it smoothly. Shopify is an affordable option for most stores that have a quick setup but when you put everything down on paper, you still get a little bit more from WooCommerce for your investment. It is critical to use the right system for your new Ecommerce website. Choosing a wrong ecommerce platform can be detrimental to your business. Switching platforms can be a nightmare so weighing all the options is a must. You want your store to work just perfectly out of the box and allow you to grow without any hiccups. No one wants to deal with coding and constant problems with less popular platforms that just give you a headache and waste your time and money. For stability, and the choice of themes and plugins, WordPress is unparalleled. Because of all this, WooCommerce should be the first choice for a business of any size if they want to run a successful online store. This is obvious because millions of brands trust WooCommerce and WordPress so it makes sense to go with something that is not only affordable but also is stable, scalable, and is hugely supported.